ABSTRACT: As a result of rapid industrialization, China now frequently suffers from extremely high levels of health damaging fine particulate air pollution and agriculture damaging elevated surface ozone pollution. In addition, China’s emissions of carbon dioxide (CO2) are the largest in the world. Both air pollution and climate issues have gained intense domestic and international attention with new Chinese government policies intended to reduce air pollution emissions and peak CO2 emissions before 2030. However, although many air pollutants are emitted from the same energy technologies that emit carbon dioxide, and air quality co-benefits from reducing CO2 are known, strategic planning to optimize dual achievement of both goals is needed. In this seminar I will discuss some of our atmospheric modeling/integrated assessment work analyzing various Chinese energy strategies to identify those most likely to maximize co-benefits for air quality, health and climate. Topics will include the air quality and climate impacts of long-distance transmission of renewable and coal generated electricity in China, the large contribution of the residential sector to regional scale air pollution, and the potential of natural gas or renewable electricity use in the residential sector to improve air quality and, depending on methane leakage, to reduce greenhouse gas emissions. On-going measurement work in the US on methane leakage from abandoned oil and gas wells will be described (time permitting). Finally, preliminary research on the negative impact of air pollution on solar energy generation in China will be discussed. 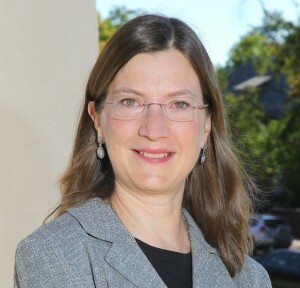 BIOGRAPHY: Dr. Denise Mauzerall is Professor of Environmental Engineering and International Affairs at Princeton University holding a joint appointment between the Woodrow Wilson School of Public and International Affairs and the Department of Civil and Environmental Engineering. Her research examines linkages between air pollution origin, transport and impacts, including impacts on human health, food security and climate change. Prior to Princeton Dr. Mauzerall was a post-doc at the National Center for Atmospheric Research, a program manager in the Global Change Division of the U.S. EPA where she implemented the Montreal Protocol, and an environmental consultant. She has authored over 60 peer-reviewed papers, has lectured widely around the world, and has been a contributing author to the Intergovernmental Panel on Climate Change (IPCC). She is currently a member of the chartered EPA Science Advisory Board and on the editorial board of the journal Atmospheric Environment. She is a member of several science advisory boards including two for European Commission projects (PANDA and ECLAIRE), the Princeton Institute for International and Regional Studies (PIIRS), and the Cooperative Institute for Climate Science (CICS) at Princeton. She directs the doctoral program at the Woodrow Wilson School at Princeton University. Dr. Mauzerall received a Sc.B. in chemistry from Brown University, an M.S. in Environmental Engineering from Stanford University and a Ph.D. in atmospheric chemistry in the Earth and Planetary Science department at Harvard University.